Anon Services is an international car shipping company based in the UK. Please click the above title for our latest shipping rates, for shipping vehicles and container to all major ports of the world. 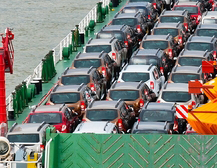 Roll On Roll Off (RORO) Vessels carry goods such as cars, trucks, lorries, and trailers. The vehicle is simply driven onto the vessel for loading, strapped, secured until arrival at the destination, where it is driven off the vessel. Roll on/roll off, or RORO as it is commonly known, is faster compared to a container service in terms of loading and unloading time. Your vehicle is driven into the lower decks of large RORO ships and is thereofore cheaper than the container method of shipping. Not all countries have facilities for unloading these sort of ships in their docks and its therefore worth enquiring with us first to see if your country offers this service. For those clients wishing to ship their vehicles in a private Container, this can be arranged for you. We will authorise shipment in an exclusive 20 or 40 foot Container with comfortable room for only your vehicles. Thus, access to your vehicles and container is under your sole control. You may be required to deliver the vehicles to the port e.g Southampton for loading by our agents. After that, a professional car loader will secure your car into the Container for safe transit / export. Please note that we now offer a collection / delivery service within uk for those with busy schedules. We are also able to deliver the Container to your address so that you can load the vehicle at your own convenience. Please note that you will need a loading ramp in order to drive the cars into the Container as the Container is not lowered to the ground. When the Container reaches the international destination you will be advised to come and open the container and collect your vehicle. Due to the element of safety involved in this method of shipping, it is understandable that it is slightly more expensive since you are paying for rental of the whole container. However, you will have the knowledge that your vehicle will reach it's destination in the same state as it was when it left the UK. 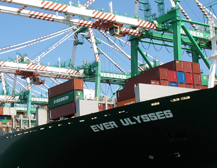 Countries we ship Containers to Angola, Australia, Bahamas, Bangladesh, Barbados, Benin, Botswana, Brazil, Brunei, Cameroon, China, Congo, Ivory Coast, Kenya, Malaysia, Malawi, Mozambique, Philippines, Qatar, South Africa, Pakistan, Zimbabwe And Many More! LCL Shipments are usually designed when there is no RORO service to that specific destination. These are usually placed in a 40ft container with other vehicles. This is specificly designed to safely transport your goods whilst saving you some money. We offer these services to many different ports, please enquire for the latest prices available! "Good afternoon, I would just like to say thank you so much to everyone at Anon for making my shipment so quick and easy! They were always so efficient and professional, I would reccomend to anyone!"